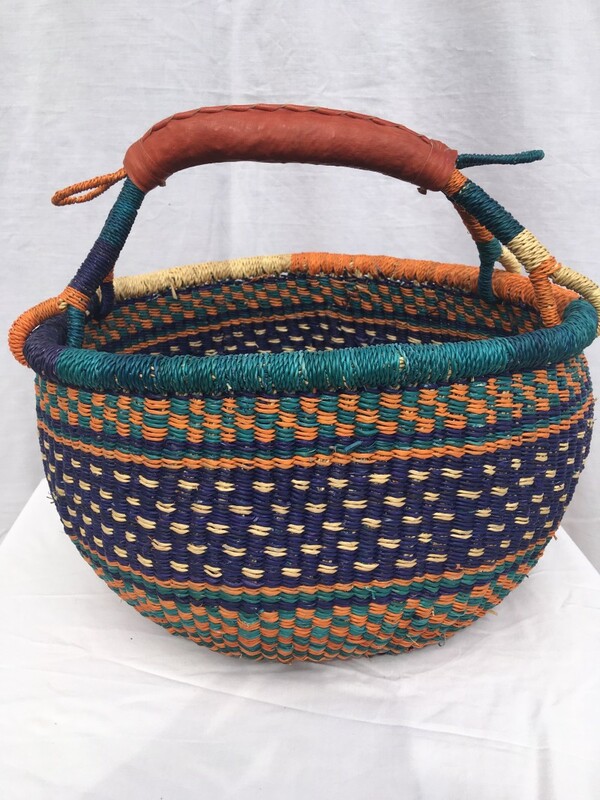 The baskets are made for us in Bolgatanga an area situated in the far north of the country. They are generally crafted by single mothers, the funds earned allowing them to feed, educate and provide medication for their children. 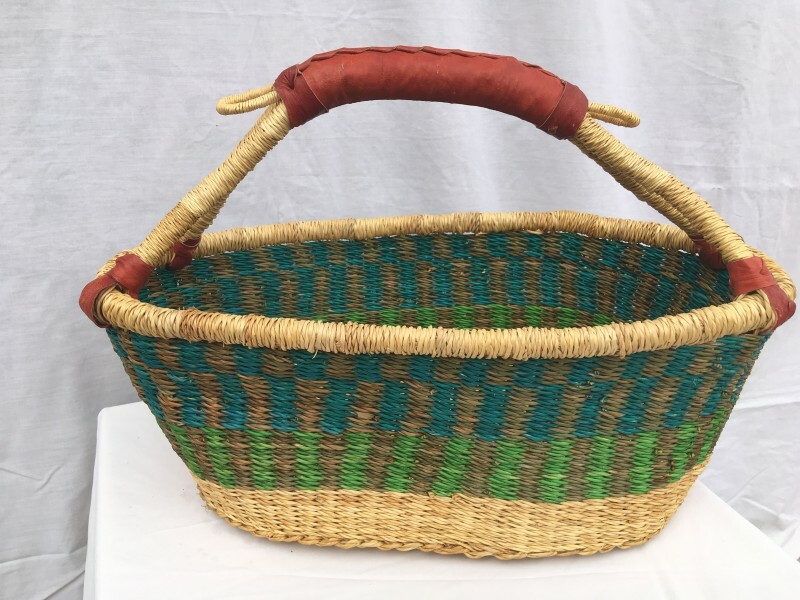 They are made using Elephant grass which the crafters slit with their teeth, then twist into ropes by rolling between their hand and upper thigh. 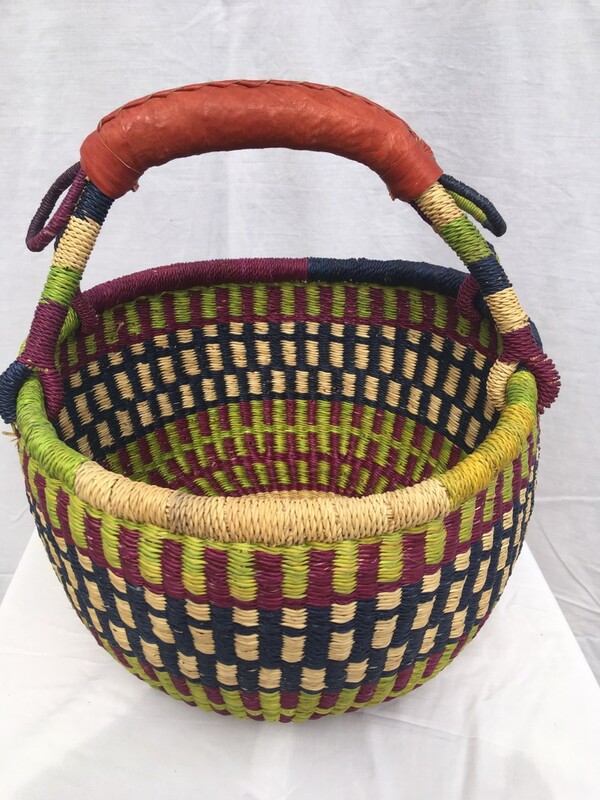 They are then coloured using locally made vegetable dyes. The weaving process then begins. 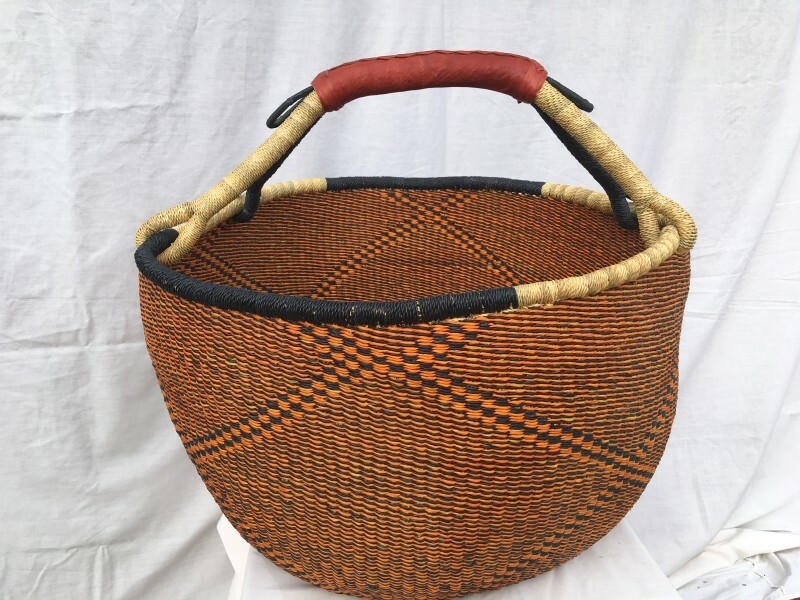 The baskets are finished with goat skin leather which is sewn around the handle. The larger examples can take up to a week to complete. 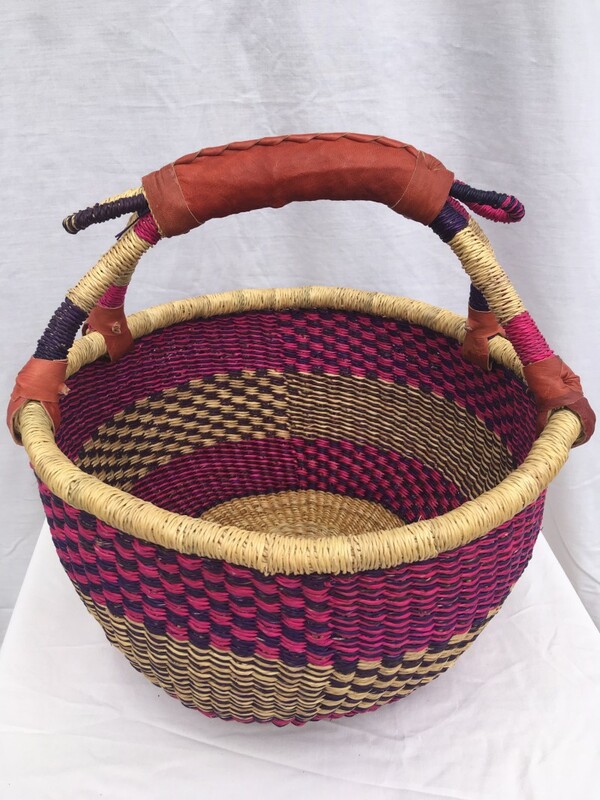 The baskets are packed into rice sacks and transported by bus 815 km to the capital city of Accra. Here they await their onward journey by air or sea. 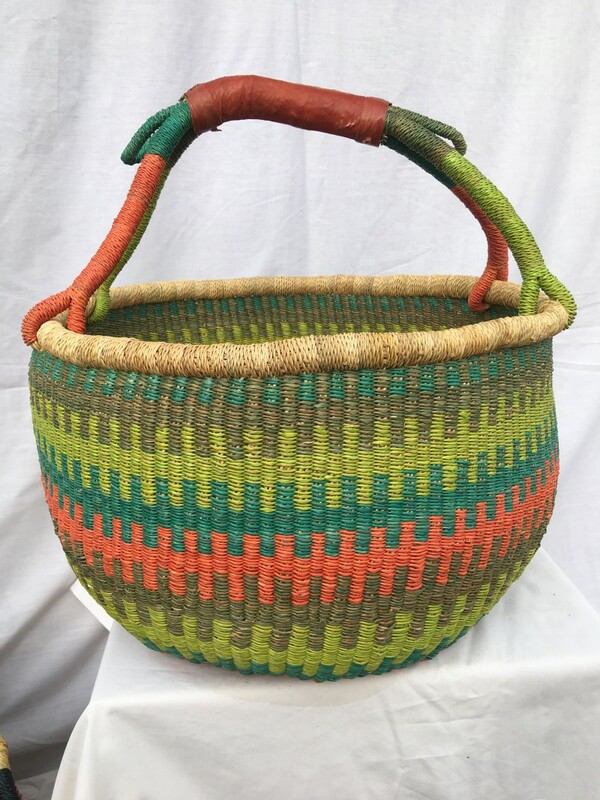 Our lovely colourful baskets from Ghana are hand-made with so much love. 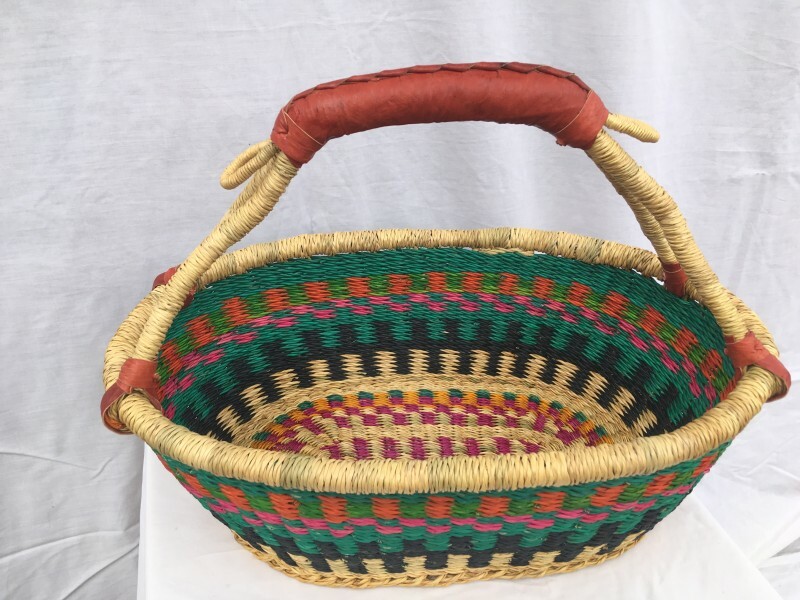 They are generally crafted by single mothers, the funds earned allowing them to feed, educate and provide medication for their children. We've shown exactly where our baskets are produced on the map below. Ghana sits between The Ivory Coast, Burkina Faso and Togo in North Eastern Africa.